Data-driven business models are going to shape the future. However, these business models are only possible if one has a large amount of data stored in hard drives. Unfortunately, this is not possible if you have limited hard drives at your disposal. Memory4less.com brings you top-of-the-line storage solutions for personal and commercial needs. We have the finest quality IBM hard drives for computer servers, desktops and laptops. Upgrade your IBM Hard Drives today to get the most out of your computer systems. They are available in 500GB, 1TB, and 5TB capacities. Order online through our website and get the best one for your needs. 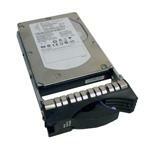 Memory4less.com offers free shipping on each order of IBM hard drives. If you are not sure whether IBM Hard Drives will fulfil your needs, contact our memory professionals for help.